The CLOCK_WATCHDOG_TIMEOUT error means that your processor has problems working with its cores and threads. Threads are tasks that are performed by cores, and some cores can accept several threads at the same time. The problem is that a thread expects a correct response from another thread – or a core expects a response from another core – and these responses do not come. Therefore, you get this BSoD error. The CLOCK_WATCHDOG_TIMEOUT error check has the value 0x00000101, indicating that an expected clock interruption on a secondary processor in a multiprocessor system has not been received within the assigned interval. 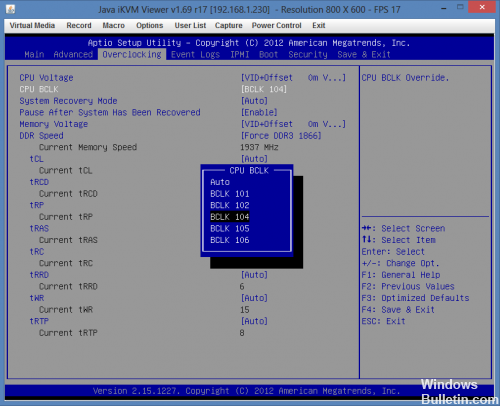 Reset BIOS settings to default values. 3. 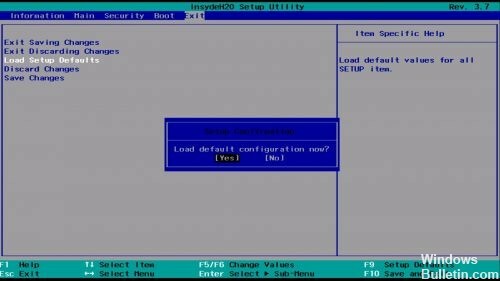 Save and exit BIOS configuration. 2 Try to use the computer normally. If the BSOD problem persists, proceed to step 2. 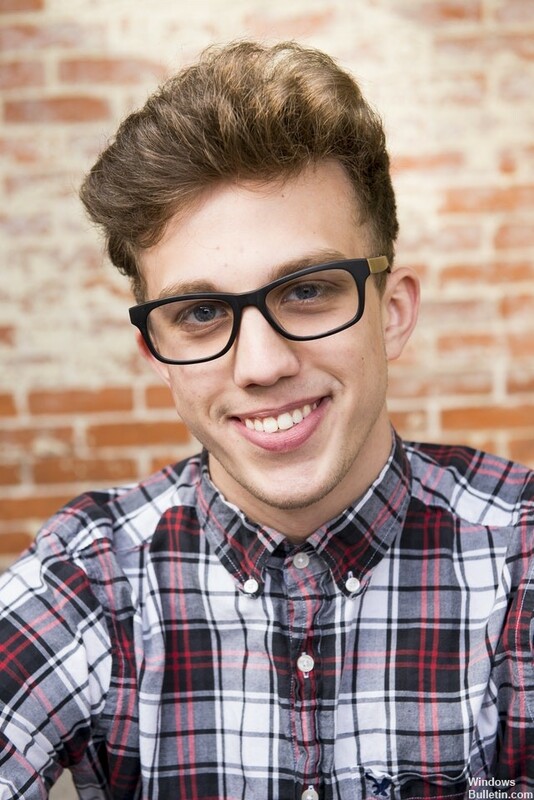 *Note: If you have a desktop computer, try manually resetting the default BIOS settings by bypassing the CLEAR CMOS jumper on the motherboard or removing the CMOS battery for at least 60 to 90 seconds. (See the motherboard manual to locate the CLEAR CMOS jumper). Blue Screen of Death errors are often caused by obsolete or defective drivers, and you can easily fix this problem by downloading and installing the latest drivers. 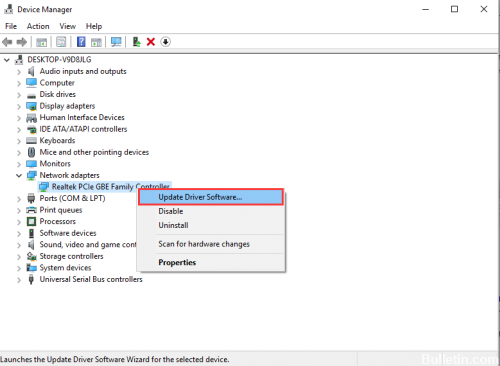 Updating your drivers is fairly easy, and you can do this by visiting your hardware manufacturer’s website and downloading the latest drivers for your device. 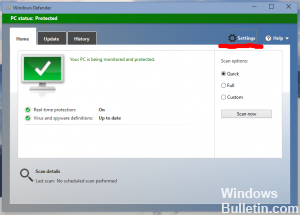 Note that you may need to update all drivers on your PC to correct this error. This error is sometimes caused by third-party antivirus software interference. To see if this is the problem for you, temporarily disable your antivirus and check if the problem persists (Refer to your antivirus documentation for how to disable them. If this solves the problem, contact your antivirus software manufacturer for advice or to install another antivirus solution. CPU overclocking usually leads to these errors. First of all, you should know that CLOCK_WATCHDOG_TIMEOUT BSOD is usually caused by processor problems, and you should consider checking it. Overclocking is a process in which you change the frequency and speed of your processor to a higher value and beyond the factory settings. This can give your PC a significant speed increase, but you must be absolutely careful, as there have been cases where entire PCs have gone up in flames after users have overclocked them or because they have been negligent. The return of the CPU rate and frequency to the original state depends on the software you used to overclock. Intel and AMD have their own applications available for download that allow users to overclock their CPUs, but there are dozens of programs to choose from. 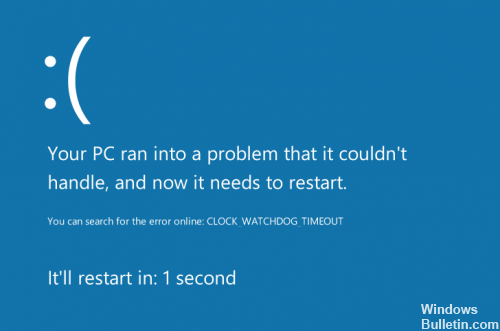 Stop overclocking your PC and check if the BSOD reappears. If none of the solutions offered here helped, we recommend that you reinstall the Windows operating system with bootable Windows 10 installation support.